Medellin is the second largest city in Colombia with a population of 2,4 million people. It is located in the Aburrá valley in the Andes. Thanks to its location, Medellin is called the “City of the Eternal Spring”. The temperatures are pleasant, it’s warm and sunny all year around, with average temperatures of 22 degrees. Medellin was once the most dangerous city in the world, known for a long history of civil war, drug war and violent crimes. Pablo Escobar, once one of the richest and most powerful drug lords in the world, ruled this city in the ‘70s and ‘80s. You can’t visit Medellin without hearing his name. There are even Pablo Escobar tours and despite the chaos and brutality he brought over the city, some people see him as kind of a hero. 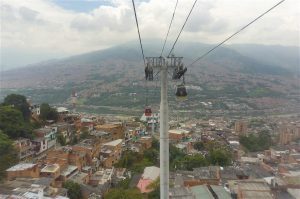 Within only two decades, Medellin transformed from being the most dangerous to the most innovative city in the world, which is very impressive! Medellin is one of my favorite cities I’ve visited. I really loved the vibe, the friendly locals and the many great places to explore. Medellin is the only city with a metro system in Colombia, which makes it really easy to get around. A long part of the line runs overground, so the metro is a great way to explore the different areas of the city. The price for a ticket is 2.300 COP (0.65 €) one way, no matter how many stations you take. 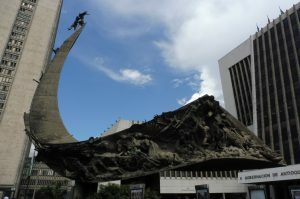 Poblado is the most famous area for tourists in Medellin. This is not surprising, because it’s stuffed with modern and stylish hotels, restaurants and bars. The area is safe during day and night and it’s a great area to walk around and enjoy the vibrant atmosphere. 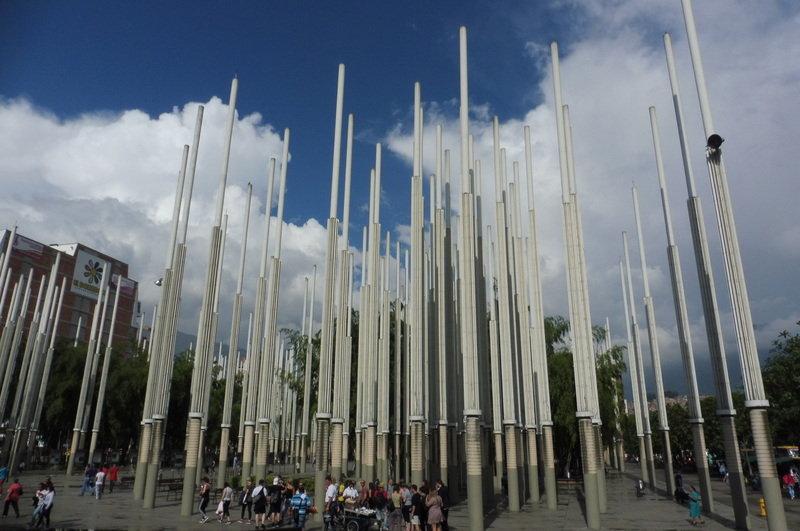 There are a few small parks and squares like the Parque Lleras, for enjoying a coffee or beer in the sun. I found some nice fashion boutiques and loved the bohemian style of the clothes! These boutiques are not super cheap but the clothes have great quality and if you love bohemian style, you can’t leave this city without getting one of those pieces 🙂 Poblado is not only full of Gringos, it’s also a great place to meet friendly Paisas (people of Medellin) in the numerous bars. Parque Arvi is located in the outskirts of Medellin and an easy option to escape from the city for a few hours. I didn’t like the park that much, because we often had to walk along a busy road where cars passed very fast and close to us. We walked a bit through the forest, which was nice, but nothing special. The coolest part is the cable car! 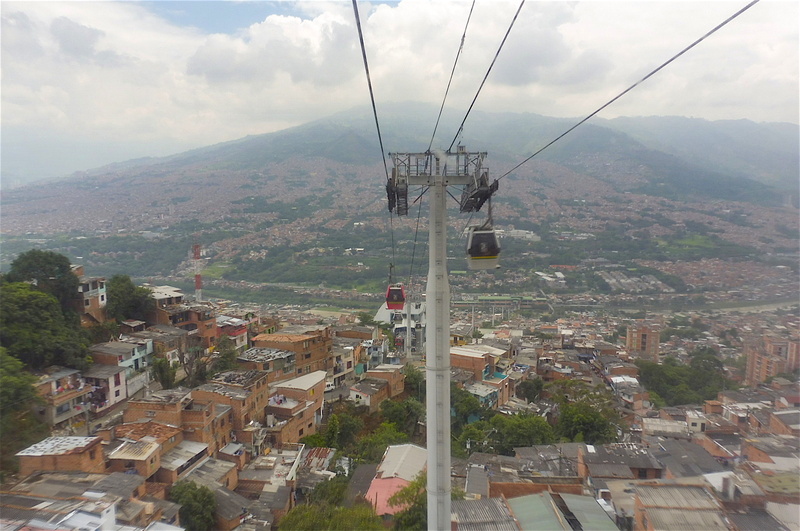 Medellin is surrounded by steep mountains and the Metro Cable is an important means of transportation, which connects the comuna (poor area) on the hills with the city center in the valley. The view from the cable car over the city is just amazing! How to get there: From metro station Poblado, take the A-Line to Acevedo station. From there get on the K-Line Metro cable (same ticket), go to the Santo Domingo station and change to the L-Line Metro Cable (5.300 COP / 1,50 € one-way). 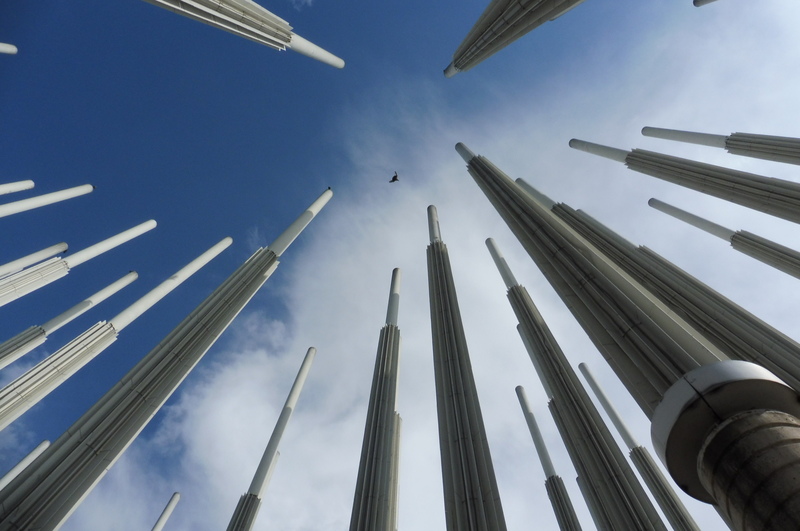 A walking tour is an easy way to explore the City Center of Medellin, get to know important sights and learn about the history and culture from an English-speaking, local guide. There are a few operators offering free tours and because of its good reputation, I chose Real City Tours. You can sign up online for a tour in the morning or afternoon. We met at the metro station Alpujarra and visited places like the Old Railway Station, the Alpujarra Administration Center, the Square of Lights, the National Palace, the Veracruz Church, the Metropolitan Cathedral and the San Antonio Park. On this 4-hours-tour, we learned a lot about the city’s history and culture and our open-minded guide answered all our questions. The walking tour is free, but a tip for the guide at the end of the tour is expected. The tip is anonymous, so you give whatever you feel like the tour was worth. Comuna 13 is famous for great street art and Graffiti. This area used to be quite dangerous, but it became safer in the last years. On this tour, you will see impressive street art and learn about the history and transformation of this area. Guatape is a small town, only two hours by bus from Medellin. I spent one night there but, if you leave from Medellin early in the morning, you can also do this trip in one day. Try to get a window seat in the bus because the landscape on the way to Guatape is amazingly beautiful! The countryside is mountainous and green, there are wide fields with colorful flowers and houses with neatly gardens. What I recognized, while passing some villages, was that a lot of towns have an orange-brown look on the first sight. But if you take a closer look, you will see that many buildings have only one colored facade on the front side and the rest of the house has a basic structure with orange-brown bricks. The town of Guatape is full of colorful buildings and small enough to explore it by walking. It’s not only famous for foreign tourists, a lot of Colombian tourists are also coming here to enjoy this great place. I passed the white church (Iglesia de Nuestra Senora del Carmen) in the center of the town on a Sunday morning. It was very busy and vivid, because after attending the mass, the locals meet for beers in the bars around the plaza and enjoy their Sunday. Guatape is surrounded by a wide lake scenery. There is a walking path around the lake, with street kitchen and vendors selling souvenirs. At the lake you can also do activities like Zip lining, water sports and Boat tours. El Peñol is a huge rock surrounded by the waters of the river Nare. The rock is believed to be the product of a volcanic eruption. From the main entrance, you have to climb 659 steps to reach the top. My legs were burning when I got there, but the breathtaking view was totally worth it! The cheapest way to get from the town to El Peñol is by public bus. It only takes 10 minutes, just ask the driver to drop you off close to the rock. From the main street, it takes 20 steep walking minutes to get to the main entrance. If you take a tourist bus or taxi they bring you directly to the entrance of the rock, but it’s more expensive. The entrance fee for climbing the rock is 18.000 COP (5 €). How to get from Medellin to Guatape: The metro takes you directly to the North Terminal from where the busses to Guatape are leaving. Busses run every hour, it takes 2 hours to Guatape, a ticket is 13.500 COP (3,80 €). Accommodation: I stayed at Hostal Casa de la Mama. It’s a basic and quiet place, 15 walking minutes from the town. I liked this place, because it felt like staying with a friendly local family in their house. There is one room with 4 bunk beds and a kitchen, a nice garden with seats and hammocks to chill and enjoy the landscape. A bed in a dorm is 20.000 COP (5,60 €). I took a Spanish course with Blink Spanish School and really liked it. This place is not only a school, it’s more a Spanish learning hostel. So I was learning, sleeping, cooking, eating and making new friends in just one place. The school was opened in March 2017 and Christian, the owner, his friendly staff and teachers make it an amazing and fun place to learn Spanish. We were studying in groups of 3 to 4 people for 4 hours and additionally we had a private lesson with a teacher each day. The teachers were friendly, patient and encouraged us to talk in Spanish all the time. Some of the students learned Spanish for the first time and were able to have a basic conversation after only two weeks in school. During my trip in Latin America, I met a few people who made the same experience: they spoke not a single word of Spanish, took a course for a month and then practiced the language on the road. If you want to learn Spanish, taking a course like this is the best and easiest way! The package for 1 week is 729.000 COP (200 €) and includes 5 days of teaching, accommodation, breakfast and lunch. Tip: Unfortunately, I haven’t been there in December, but Medellin is becoming a winter wonderland with amazing Christmas decoration and lights all over the city! If you get the chance to go there by this time, you shouldn’t miss it!